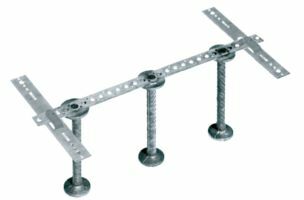 The HDB elements with double headed ribbed studs, welded to a mounting rail, are used as shear and punching reinforcement. HALFEN HDB shear rails are supplied as system elements, for short delivery times, and as complete elements, which are manufactured to measure on demand. 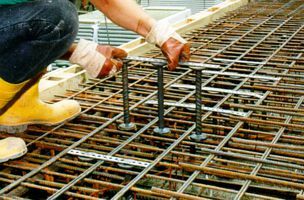 They are preferably put in from the top after laying the flat slab reinforcement. They are available as 2-stud and 3-stud elements which can be combined into larger assemblies with the appropriate arrangement. The symmetrical arrangement of the HDB anchor guarantees the correct installation. The clip bar ensures that the heads of the studs are covered by concrete. HDB anchor rail for shear reinforcement. 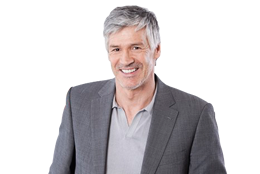 The longitudinal reinforcement does not have to be enclosed. 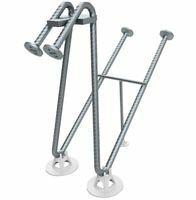 The HDB-S anchor rail consists of double headed anchors (B500 ribbed or smooth) with swaged heads. A mounting bar that is secured by tack welds on the anchor heads, connects the individual anchors to the HDB-S rail. 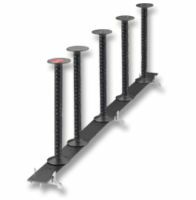 HDB S rails can have up to 10 anchors, which are preferably used from the top for laying the surface reinforcement. By arranging the individual elements in rows, large areas can be quickly reinforced. 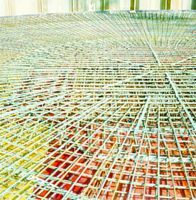 Another advantage of the S-HDB anchor rail is its the virtually slip-free bond with the concrete, which is guaranteed by the positive engagement of the swaged heads. 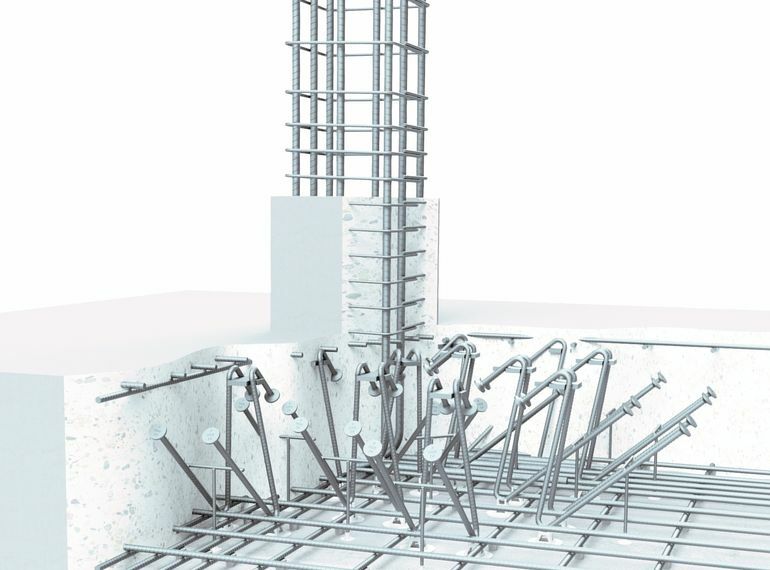 The shear reinforcement can therefore be better anchored, particularly with thinner plates, and that is why the reinforcement cross-section of the HDB-S anchor can be reduced by up to 20%. The HDB complete elements are welded to a flat steel rail. 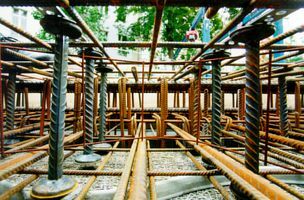 Where the reinforcement is congested HDB elements are ideal for installation from below, i.e. 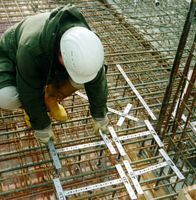 the elements are placed on the formwork by special spacers. The lower and upper reinforcements are then put into position.